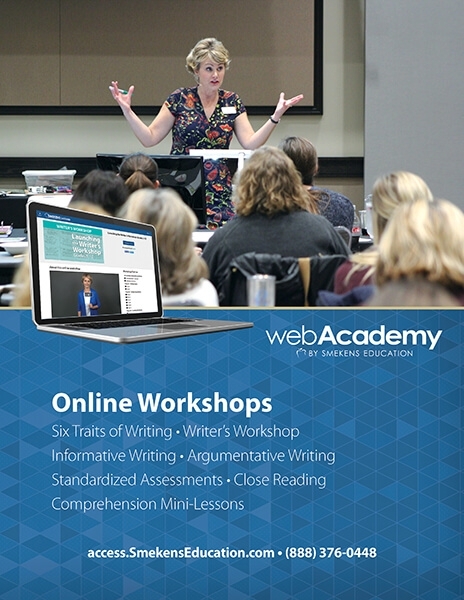 Online courses from webAcademy are the next best thing to attending a live Smekens Education workshop! That's because every webAcademy course is built from video footage captured during live full-day seminars led by Kristina Smekens, president and lead consultant for Smekens Education. 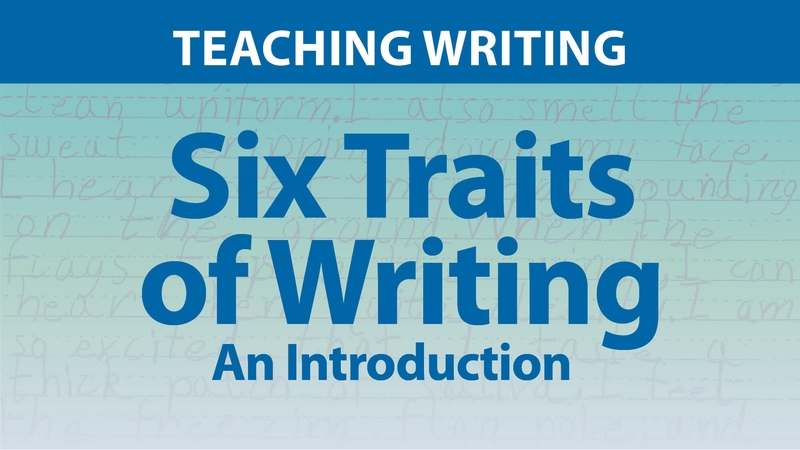 This dynamic online course utilizes video footage from a full-day Smekens workshop to equip K-12 teachers with the knowledge and tools they need to start teaching the Six Traits of Writing right away. Whether you need to learn a lot about the Six Traits in a hurry or want a “refresher” course to get you back on track, this introductory training led by Kristina Smekens provides teachers with the confidence and resources they need to begin implementing the Six Traits model. If you’ve heard Kristina Smekens’ Six-Traits Introduction, then you’re ready to take it to the next level. 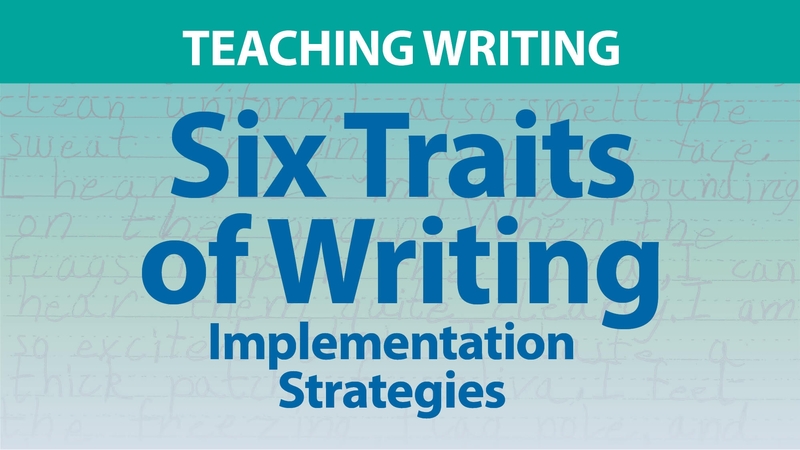 This dynamic online course utilizes video footage from a full-day Smekens workshop and addresses how to take the Six Traits from six words floating around the classroom to full-blown immersion and implementation all year long. Kristina will offer you ways to organize, manage, and implement the traits to heighten the effectiveness of your writing instruction. Writers need to move beyond restating collected facts and details. They have to synthesize ideas in order to demonstrate a deep understanding of a topic or text within expository writing. This online course will reveal the essential instruction necessary to produce this type of informative writing. It’s not by accident that the first type of writing listed in the standards is persuasive/argumentative. More than just restating information, students must know how to articulate their feelings, opinions, and viewpoints based on logical reasons and relevant evidence. 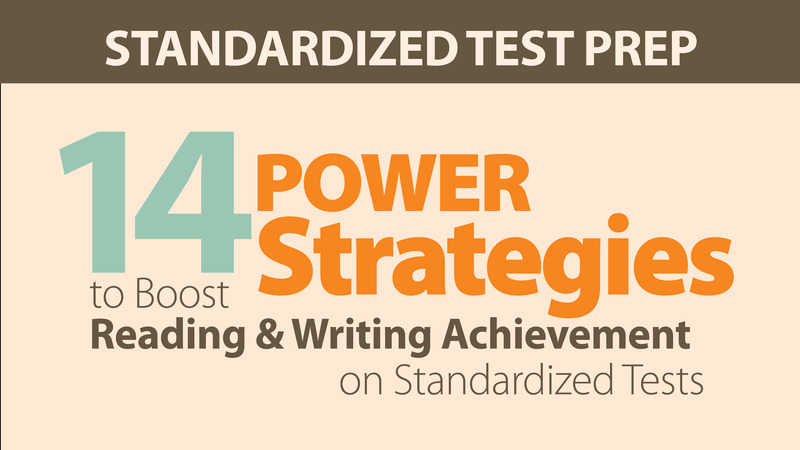 However, for many teachers, this standard is an area of anxiety and weakness. 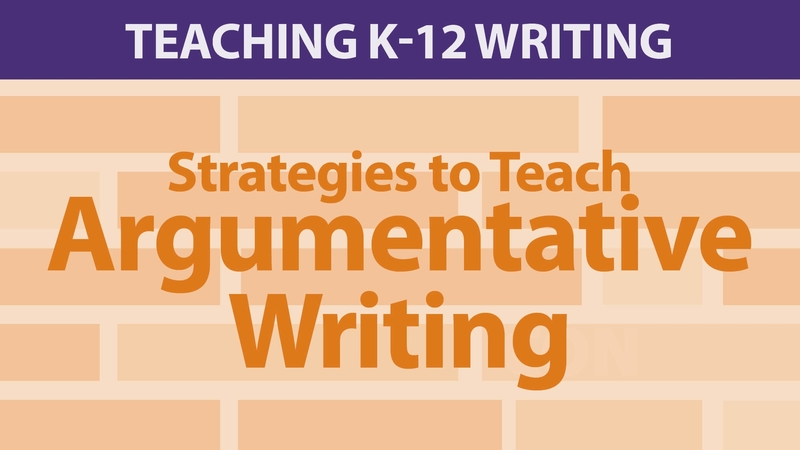 Through this online course, K-12 teachers will obtain dozens of lesson ideas that they can easily incorporate into their yearlong writing curriculum. Many teachers have confessed that they struggle to get their writer's workshop off the ground. What should I do the first weeks of school? What are key lessons to jump-start my writing curriculum? How fast or slow should I move? Regardless of the writing model you're currently using, this online course provides participants with a powerful framework of lessons that can help launch their writing year. Throughout the course, teachers will have the opportunity to plot and plan their own instructional calendar for teaching writing during the first six weeks of school. At the end of the course, teachers will be ready to launch their writer's workshop with their personalized blueprints in hand! After you've devised a plan to launch your writer's workshop during the first weeks of school, the next step is to look ahead toward the rest of the year. 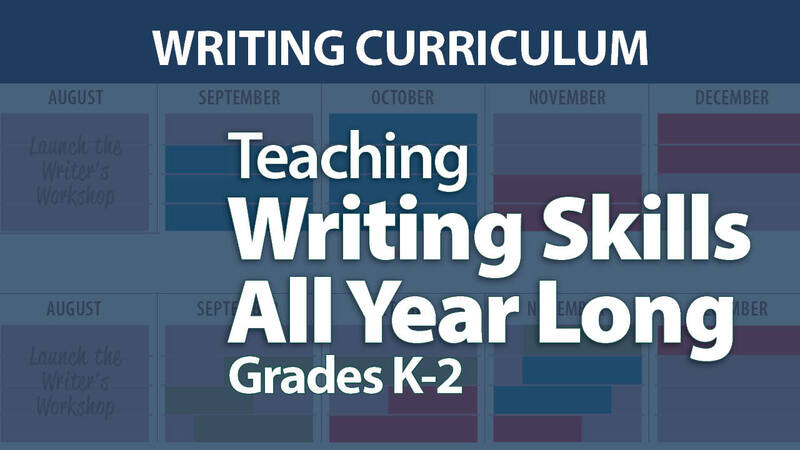 This course is designed to guide K-12 teachers through the planning of a yearlong writing curriculum. This includes determining mini-lesson instruction, identifying frequent assignments, and communicating assessment feedback all within the three major types or writing — opinion/persuasive/argumentative, informative/expository, and narrative. The video content for this course is exactly the same as the "Teaching Writing Skills All Year Long: Grades 3-12" course, with one exception. 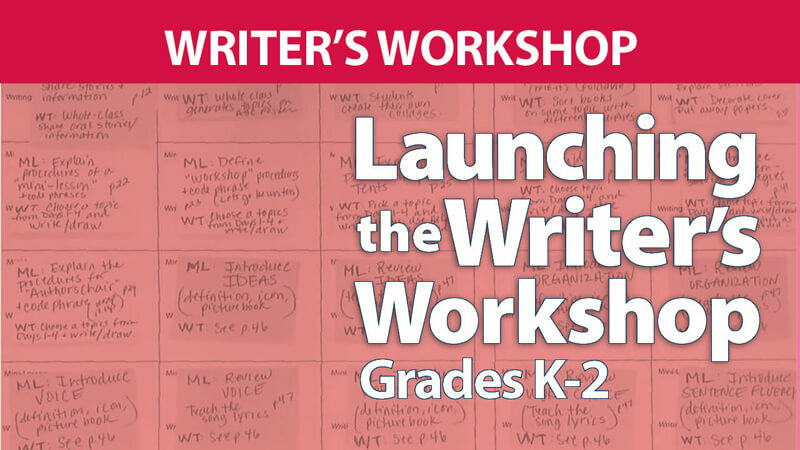 When you enroll in this course, you receive a complimentary digital copy of Kristina's best-selling book, Launching the Writer's Workshop, Grades K-2. Many teachers have confessed that they struggle to get their writer's workshop off the ground. What should I do the first weeks of school? What are key lessons to jump-start my writing curriculum? How fast or slow should I move? Regardless of the writing model you're currently using, this online course provides participants with a powerful framework of lessons that can help launch their writing year. Throughout the course, teachers will have the opportunity to plot and plan their own instructional calendar for teaching writing during the first six weeks of school. At the end of the course, teachers will be ready to go with their personalized blueprints in hand! After you’ve devised a plan to launch your writer’s workshop during the first weeks of school, the next step is to look ahead toward the rest of the year. This online course is designed to guide K-12 teachers through the planning of a yearlong writing curriculum. 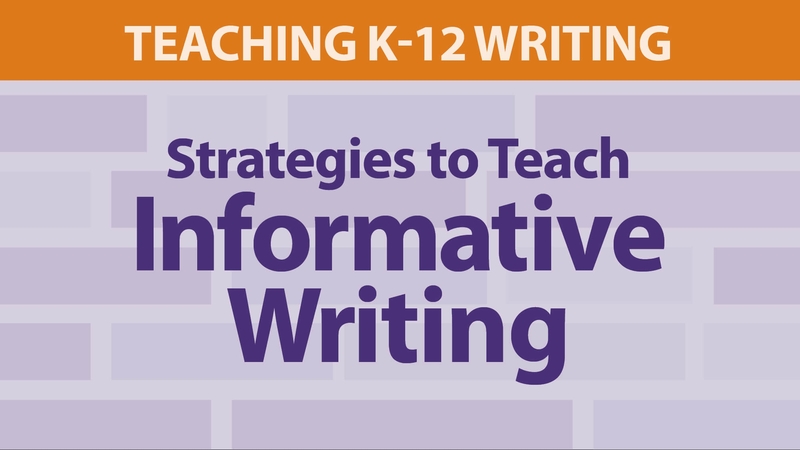 This includes determining mini-lesson instruction, identifying frequent assignments, and communicating assessment feedback all within the three major types of writing— opinion/persuasive/argumentative, informative/expository, and narrative. The video content for this course is exactly the same as the "Teaching Writing Skills All Year Long: Grades K-2" course, with one exception. 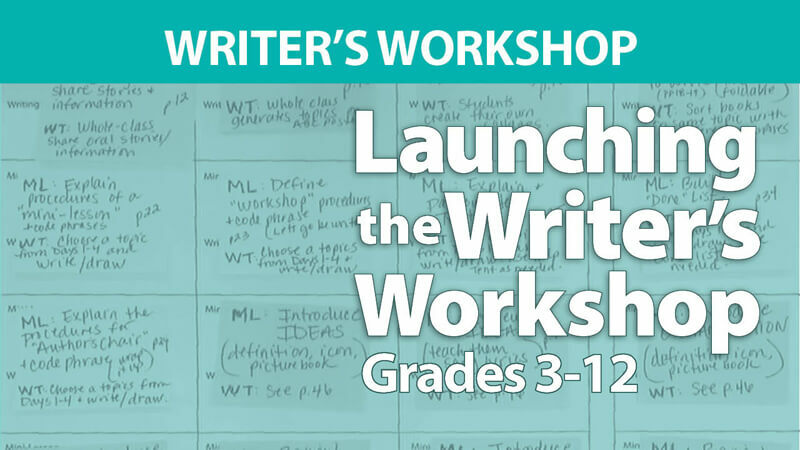 When you enroll in this course, you receive a complimentary digital copy of Kristina's best-selling book, Launching the Writer's Workshop, Grades 3-12. Rooted in practical, best-practice strategies, each webAcademy course features engaging, online professional development that is designed for on-demand access by individuals or groups. In addition to delivering 5+ hours of professional development, each webAcademy course includes opportunities for educators to reflect and comment on what they are learning. Registrants are granted 30 days to complete a course but receive lifetime access to a password-protected web page that contains a treasure trove of lessons, videos, and other resources for implementation. The cost to enroll in a webAcademy course is $140 per person. The cost to enroll in a webAcademy course is $140 per person. With our group discount options available to schools and districts, an entire staff can benefit from webAcademy courses at a discounted rate. To enroll multiple teachers, contact our webAcademy team at (888) 376-0448.
and gave me the tools to succeed in the classroom." Flexible: Start a course whenever it’s most convenient. Self-Paced: After paying for a course, you have 30 days to complete the coursework. Each course requires five to six hours to complete. On-Demand: Educators can complete their webAcademy coursework using any internet-enabled computer, tablet, or smart phone. Recognition: After completing a course, participants receive a Certificate of Completion acknowledging their time spent participating in the course. Practical: Smekens Education is best known for providing teachers with innovative and practical teaching strategies that are rooted in best practice and the College & Career-Ready Standards. Engaging: For more than a decade, teachers have been raving about the enthusiastic and entertaining presentation style of Kristina Smekens. You definitely won’t be bored! Cost-Effective: With registration fees beginning at just $140 per person, webAcademy courses eliminate the need for hiring a substitute, making sub plans, or incurring travel expenses.